I couldn't help noticing the Last.fm Artist Hype List this week. Yep, these are the artists whose stars are on the rise, according to the vanguard of tastemakers who make up Last.fm's listening community. Are you wondering what I was wondering? OK, a bit of cheese is permissible at Christmas, but where's the port to wash it down? Where is Fairytale of New York? Further investigation shows what is going on here. Fairytale has a total of over 79,000 plays on Last.fm, including over 2,900 last week (according to this page). 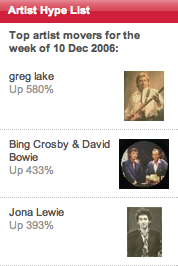 That compares with around 700 plays last week for Greg Lake's I Believe in Father Christmas (source, allowing for messy metadata where the same song is tagged differently). But if you start from a very low baseline, as it appears Greg, Bing and Jona must have done — whereas The Pogues did not — you can achieve very high percentage gains without exactly reaching a mass audience. See you again next year, guys, and Happy Christmas, everyone. It's become difficult to distinguish between real critical interest and the momentary attention of Web surfers. And it's hard to tell when real fans, not an intern clicking a button, are upping the numbers on interactive websites like MySpace and YouTube. To get some perspective on my own buzz vertigo, I consulted with pop geeks of all kinds, from the solo bloggers to major-label execs. The conversations left me feeling that, while everything in pop is new, it's old again too. I actually got a new album sent to me, unsolicited, a few weeks ago, presumably in the hope that I would blog about it. It's the first time that's happened, and I have to admit I was rather flattered. Many thanks to Colin Donald of Futurescape for tipping me off about the article. Two years ago I created a wiki site about 69 Love Songs, my favourite album. 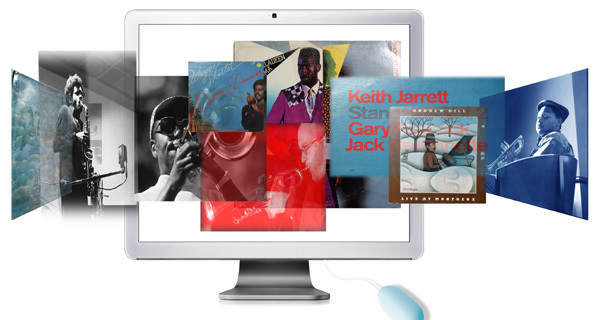 I had in mind an evolving resource where people would add new perspectives on each song, so that it would grow in time to become a comprehensive guide to their many allusions, references and influences. At the time I first published the site, I wrote an account of its development and my hopes for it. I've had a lot of positive feedback on the site in private and in public. However, as a wiki — a collaborative work — the site has been a relative failure. The inspiration I drew on was as much Simon Winchester's story about the creation of the Oxford English Dictionary, involving the co-ordination of the distributed work of several hundred Victorian volunteers, as Wikipedia. But the number of contributors is probably still in single figures, and 95% of the updates over the last two years have been done by one person: me. This is a practical account of when and how to use a wiki for cultural reference sites, and when to consider other approaches. It accompanies a more abstract article on my main blog. Jason Herskowitz has started a wiki site so we can all collate examples of different kinds of new-generation music sites. (Everyone seems to hate the Music 2.0 label, but at the same time everyone seems to reproduce it.) As a starter, Jason has drawn on his own list of companies and Paul Lamere's suggested classification. So if you want include your own site, or your favourite one, head over to the Music 2.0 Directory wiki and start contributing. I've added a few playlist sharing sites to one page [update: page now moved]. One tip if you're using a Mac: use Firefox rather than Safari as the editing interface is a nightmare with Safari. 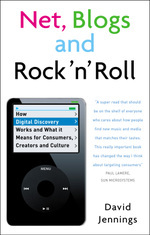 if you look at Sandi Thom's new twist on a promotional stunt, Arctic Monkeys' modern take on fans swapping tapes with each other, and Lily Allen's use of a personally administered MySpace page to get her personality across, three pop laws, each dating back into the middle of last century, leap out: people will buy music if they hear it and like it; people enjoy and are taken in by exciting stories about pop stars; and people like pop stars with whom they can emotionally engage. An exciting year for pop then, but hardly a revolutionary one. Robinson dubs the people who claim a revolution is afoot as "web evangelists", and he clearly thinks that they're overstating their case. I agree with most of the well-researched article, but then I wondered, "Would he count me as a web evangelist?" 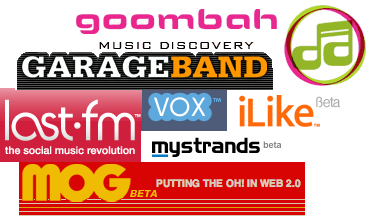 Goombah (no web-based profiles, but if you have the client download, my member name is DJAlchemi). If you are a member of any of these, please make contact with me via the links above, so we can make 'friends'. Frankly I need some more friends to make life more interesting. There's an interesting set of issues raised by sites like Best MySpace Band, which add second-generation features to discovery sites like MySpace, Last.fm and so on. As the name hints, Best MySpace Band is a site dedicated to sifting through all the bands on MySpace and collating votes for them on a Wisdom of Crowds basis, to find which is 'best'. I haven't got involved in voting, but it appears to work similarly to digg, and, appropriately enough, that's where I found it.